Volvo XC60 Plug-in Hybrid Concept will be unveiled at the Detroit Auto Show 2012. 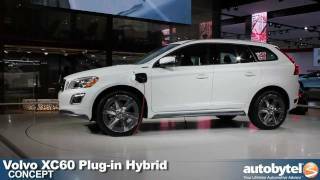 The Volvo XC60 Plug-in Hybrid Concept is an electric car, a highly economical hybrid and a powerful high-performance car all rolled into one. The driver chooses the driving mode via three buttons on the instrument panel. The buttons give the car three distinct temperaments: Pure, Hybrid or Power. 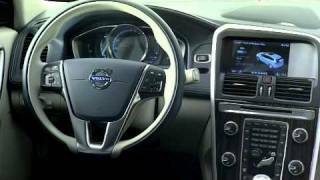 At the 2012 North American International Auto Show in Detroit, Volvo Car Corporation will unveil an innovative gasoline plug-in hybrid. 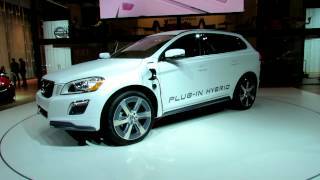 The Volvo XC60 Plug-in Hybrid Concept is an electric car, a highly economical hybrid and a powerful high-performance car all rolled into one. At the touch of a button, the driver decides how the available power from the combination of the high-performance gasoline engine and the electric motor is to be utilized. "The technology in the XC60 Plug-in Hybrid Concept is as ingenious as it is unique," says Stefan Jacoby, President and CEO of Volvo Car Corporation. "You can make really green progress on the road without compromising on any of the luxury car's renowned properties. No other manufacturer has succeeded in delivering fuel economy and electrical range on this level in a capable, spacious performance car with 350 horsepower on tap." "This world-class gasoline plug-in hybrid technology, featuring a state-of-the-art four-cylinder engine from our upcoming Volvo Environmental Architecture engine family, will reach our American showrooms in a couple of years. However, it is too early to say which model will be the first to feature this solution," Stefan Jacoby says. The driver chooses the driving mode via three buttons on the instrument panel. The buttons give the car three distinct temperaments: Pure, Hybrid or Power. In Pure mode the car is powered solely by its electric motor as much as possible. The operational range is up to 35 miles (charge depleting range, U.S certification driving cycle) with zero tailpipe emissions in urban traffic. The range according to the European certification driving cycle NEDC is 45 km. Hybrid mode is the standard setting whenever the car is started. The gasoline engine and electric motor cooperate to provide maximum driving pleasure with minimum environmental impact. According to the European certification driving cycle NEDC,CO2 emissions are 53 g/km (2.3 l/100 km) - which translates into fuel economy of over 100 mpg. Using the U.S certification standards, which include emissions from the production of the electric energy, the combined fuel economy in continuous driving is 50 mpg. The car has a total operating range of up to 600 miles (960 km). In Power mode, the technology is optimized to create maximum possible power. The gasoline engine with 280 hp and 380 Nm (280 lb.-ft.) is combined with the electric motor with 70 hp and 200 Nm (148 lb.-ft.). The electric motor's instant torque delivery contributes to the car's acceleration from 0 to 60 mph in 5.8 seconds (0-100 km/h in 6.1 seconds). The front wheels of the XC60 Plug-in Hybrid Concept are powered by a four-cylinder turbocharged gasoline engine from the forthcoming VEA (Volvo Environmental Architecture) engine family. This engine produces 280 horsepower and maximum torque of 380Nm (280 lb.-ft.). Power delivery to the wheels comes via a newly developed eight-speed automatic transmission. "In the XC60 Plug-in Hybrid Concept we demonstrate that our forthcoming four-cylinder engines offer the same high performance as today's sixes. At the same time, their fuel consumption will be lower than in current four-cylinder engines," says Peter Mertens, Senior Vice President Research & Development at Volvo Car Corporation. The concept car carries a "T8" badge, which emphasizes the combined 350 horsepower of the high-performance four-cylinder engine and the electric motor. This moves the car into territory previously occupied solely by eight-cylinder engines. "It's time to stop counting cylinders," Peter Mertens says. "Four-cylinder engines are the most effective way to quickly reduce CO2 emissions and fuel consumption without compromising customer expectations when it comes to driving pleasure and performance." VEA is a modular range of diesel and gasoline engines. The gasoline versions come with direct injection, minimized internal losses and balance shafts for maximized comfort. Several levels of turbocharging open up for flexibility that encompasses the whole range from high power and torque variants to extremely fuel-efficient derivatives. In order to cover all customer requirements, certain engines will gain added performance via hybrid drive or other spearhead technology. The number of unique parts is reduced. This promotes manufacturing efficiency, quality assurance and efficiency of new development projects. The new powertrains are considerably lighter than present engines with similar performance. Fuel economy is improved by up to 35 percent compared to engines with similar performance. Modularity and compact transverse design are also ideal for future electrification developments. The engine in the XC60 Plug-in Hybrid Concept has no conventional starter motor or alternator. Instead, there is an Integrated Starter motor and Generator (ISG) connected to the crankshaft, which is located between the engine and the transmission. The ISG is capable of delivering an extra 34 kW (45 hp) during acceleration. It also charges the battery during braking. The rear axle of the XC60 Plug-in Hybrid Concept is driven by an electric motor producing 70 horsepower. It is supplied with power from a 12kWh lithium-ion battery pack installed under the floor of the load compartment. The battery pack is recharged from a regular power outlet, at home or at a parking place. Recharging time varies with the current. If 220V is available a full charge with 12A takes just 3.5 hours. With 110V/12A a full charge takes 7.5 hours. It is also possible while recharging the car to heat or cool the passenger compartment in order to make the start of the journey more comfortable. This also means that more battery power is available to propel the car. Best route to the destination depending on whether the driver prioritizes low energy consumption, the fastest route or the shortest distance. Low Emission Zones where sufficient capacity is needed for running on pure electricity. Charging stations with access to renewable electricity. Locations along the route with access to quick-charging facilities. The driver also can connect to the car via a mobile phone application. This offers convenient access to a wide range of data, such as the battery's charge level, remaining range, and the location and capacity of the nearest recharging station. Via the app, it is possible to verify if the charger cable is hooked up and it is also possible to pre-program the car's interior climate. "Creating an intuitive driver's environment that always gives you access to updated, useful information is an important part of our product development. This includes that you should be as updated when the car is parked as when you're behind the wheel," says Stefan Jacoby. The Volvo XC60 Plug-in Hybrid Concept is painted in a special white color and the 21-inch wheels enhance the muscular appearance. The interior features unique detailing and colors, such as sober dark-blue leather upholstery and inlays of blue-grey wood. The instruments have been tailored to give the driver all the necessary information about petrol and electricity consumption, battery charge level, remaining range and so on. The electric four-wheel drive in the XC60 Plug-in Hybrid Concept is activated by pressing the AWD (All Wheel Drive) button. Instead of the mechanical power transfer of conventional four-wheel drive, the central control unit distributes power between the gasoline-driven front wheels and the electrically driven rear axle. The electric four-wheel drive system has been designed to provide better traction when starting and when driving on slippery roads, for instance in snow or mud. The driver can choose to save battery power for later in order to drive on pure electricity later in, for example, an urban green zone or in the heart of a city. When Save is activated, the generator charges and tops up the battery pack if necessary. 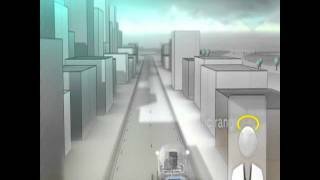 The aim is to ensure sufficient battery power for about 12 miles (20 km) of driving on electricity.